In Radomin there used to be a manor house dating back to the first half of the 19th century. The manor house occupied the site of the present fire brigade facility. A park with the area of 2.6 ha and four-flat buildings located along both sides of Golub-Dobrzyń – Rypin route also date back to that period. 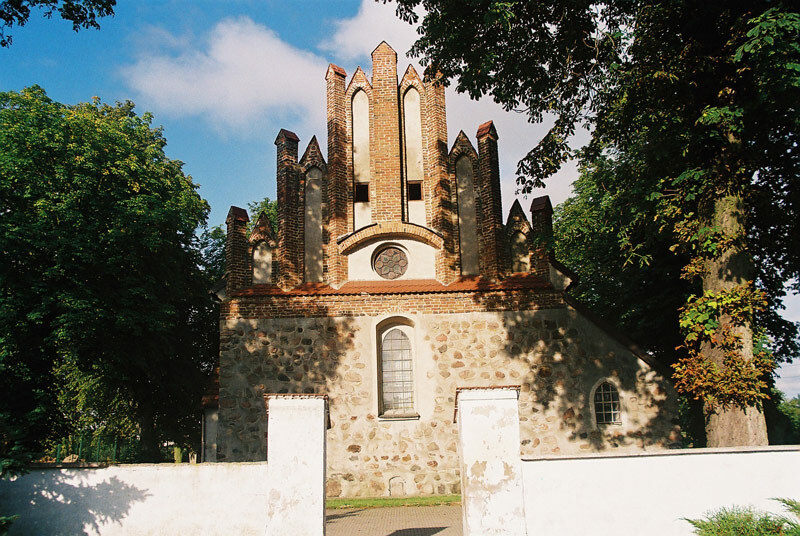 The stone and brick St. Nicolaus Gothic church in Radomin was erected in the 14th century and in 1781 a tower was attached to the church. The church was renovated repeatedly and its interiors include Baroque and neo-Gothic elements. In 1919 a new brick storied rectory was erected, which is well preserved until now. In the cemetery in Radomin located in the southern part of the village there is a neo-Gothic tomb of owners of Radomin, namely Tadeusz Rościszewski’s tomb (†1876) and Bronisława Rościszewska’s tomb (†1897). The alley of monumental trees along the road to Bocheniec in Radomin is followed by another alley of trees along the road to Piórkowo. The alley is composed of approximately 210 trees, including nearly 125 beech trees.